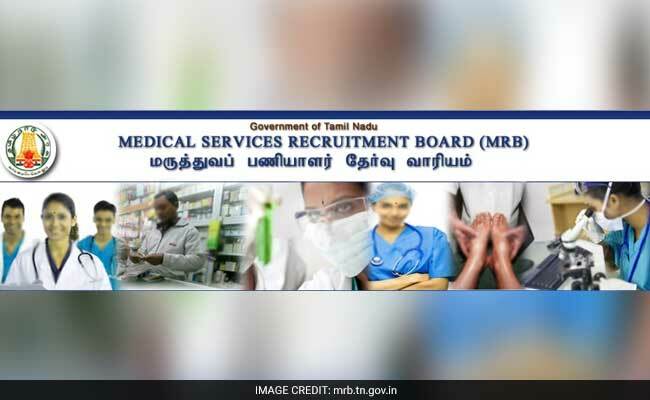 New Delhi: Medical Services Recruitment Board (MRB) Tamil Nadu has released the provisional selection list of candidates 'against 'not joined' vacancies for appointment to the temporary post of Assistant Surgeon (General).' The list comprises of a total of 453 candidates. The candidates who have been placed in the list have been selected on the basis of their performance in the objective type exam held on 12 February 2017. 'In case where the marks obtained by two or more candidates are equal, the rank among them is decided based on the date of birth,' reads the official notification. Candidates whose results have been withheld would be required to produce the documents within 30 days from today. Candidates can find complete details in this regard at mrb.tn.gov.in.